Vigneron is introducing a new look for their wines. 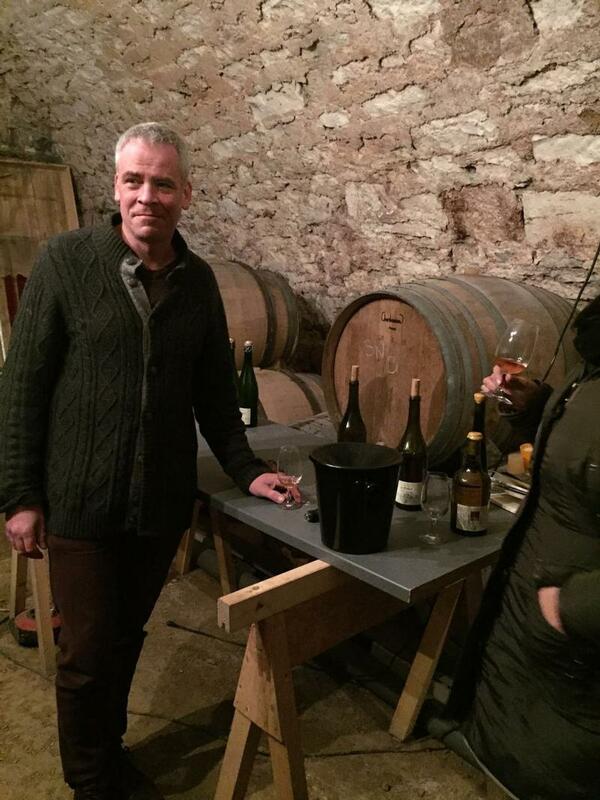 Ludwig Bindernagel, from Bavaria, and Nathalie Eigenschenck, from Paris, are relative newcomers to the wine world. Neither of them had any experience or formal education as winemakers prior to opening their own winery, nor did they come from vigneron families. Ludwig studied viticulture remotely while working as an architect in Paris, and ultimately decided to leave to pursue his passion for viticulture and wine production. Ludwig had fallen in love with Burgundy, and initially hoped to purchase land there. However, due to financial constraints, the family found that the Jura proved significantly better suited for them. This led to the purchase of Les Chais du Vieux Bourg (now Lulu Vigneron) in 2000. Their first vintage came shortly after in 2002. The original vineyard is about 2.5 hectares in Arlay, in the center of the Jura, and Ludwig has since expanded the estate to include vineyards at Poligny and Etoile and the legendary Château-Chalon. Their vineyards are organic and they do not use any insecticides, chemical fertilizers or machinery; they are also in the process of gaining Biodynamic certification. The soil is very unique, with two marly layers and a calcareous stratus, which is rich in fossilized oysters. The vines are among some very old stocks and are not genetically modified. Their motto of "the wine is made in the vineyard" is exemplified by the fact Ludwig works with the vines every day. Ludwig has a completely natural approach to wine making with a dedication to a non-interventionism and an affinity for making wine in a traditional style. He only takes the best clusters during selections, and uses extensive pruning techniques by hand to avoid packing down the soil with heavy machinery. Ludwig's fermentations are done at very low temperatures, lengthening the process for up to two years. This helps create very complex wines with depth and layers and production never exceeds 1,500 bottles total per vintage. In addition to Ludwig's winemaking, the family also purchased an old hotel particulier, which was once home to a family with eight children. There, Nathalie cooks an inclusive breakfast and optional seasonal dinner. She also offers various courses on cooking and local truffle hunting.